Arroyo Roble sits somewhere between a red rock and creek bed, just off Highway 89A between Sedona and Flagstaff in breathtaking Arizona. All nine acres of the resort's grounds are beautifully landscaped and blend perfectly with the natural tranquility of Oak Creek and the surrounding Red Rock Country. The resort offers 72 intimate villas, allowing plenty of open areas for nature walks, barbecues, picnics, and quiet communion with nature. Recognizing that vacations are meant to facilitate quality time with friends and loved ones, Arroyo Roble also includes a gorgeous 15,000-foot clubhouse complete with indoor and outdoor pools, sauna and steam rooms, exercise equipment, billiards, lighted tennis courts, and much more. Though Arroyo Roble makes you feel like you're worlds away from civilization, downtown Sedona is only 30 miles away. Sedona is known for its amazing setting, amid backdrops of the vast Colorado Plateau, Oak Creek Canyon, and massive rock formations. But it also features restaurants that cater to all tastes and budgets, and shopping in the many Southwestern galleries and famous shops. Nearby you'll find Arizona Snow Bowl for skiing, the Grand Canyon, Kaibab and Prescott National Forests, Navajo and Hopi Indian Reservations, the Painted Desert, and Petrified Forest National Park - some of the most beautiful natural land in the world. And the red rocks, blue skies, and green hills create the most spectacular sunsets! After a day of sightseeing, shopping, and dining, you'll enjoy retiring to your villa. 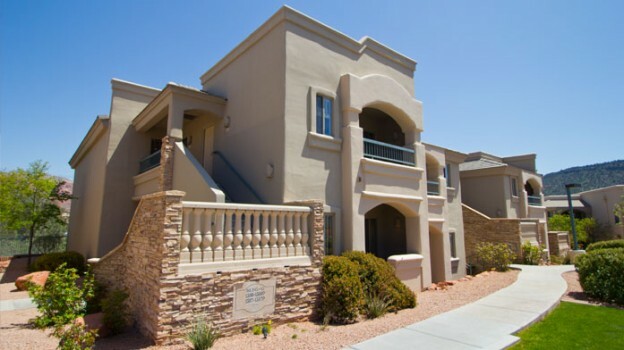 It's air-conditioned, has a well-equipped kitchen, a whirlpool bath and a quiet patio or balcony. What's special about Arroyo Roble is what you'll find here, but also what you won't. See you soon. Enjoy a mountain getaway at Banff Rocky Mountain Resort, a relaxing retreat in the heart of Banff National Park. Set amid eight acres of private parkland and surrounded by the glorious scenery of Canada's oldest national park, Banff Rocky Mountain Resort's breathtaking location and extensive amenities are certain to provide a memorable stay in the Canadian Rockies. Curl up with a good book and enjoy the fire, prepare dinner or a snack, watch the snowflakes fall and rest well in anticipation of another exciting day outdoors. Contemporary mountain lodge décor will make you feel right at home and entirely comfortable from the first day of your memorable stay. 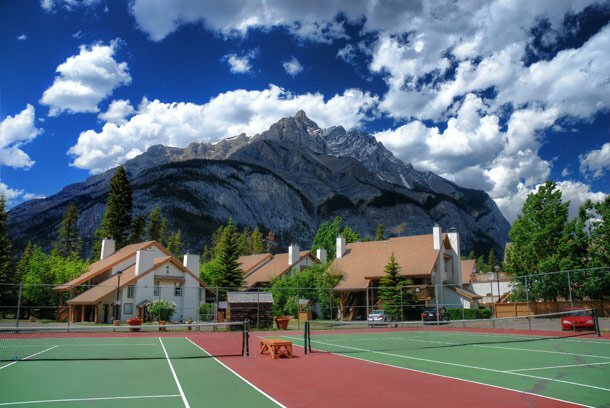 Take advantage of the resort's endless amenities, including an Indoor pool, hot tub, health and fitness club, tennis and squash courts, laundry facilities, and free shuttle to downtown Banff. Banff is a world-famous resort town that offers a wide variety of recreation and some of Canada's finest shopping and dining. The national park itself offers opportunities for camping, hiking and wildlife viewing. With renowned restaurants, decadent spas, eclectic boutiques and bustling nightclubs, Banff has ensured that guests will continue to enjoy their visits year 'round. The resort's complimentary shuttle gives you the best of downtown and the serenity of a beautiful mountain location. Surrounded by a magical Chill-Out environment, the Resort offers you the highest quality standards. Oasis Tulum is made to relax and enjoy an atmosphere full of natural beauty that together with two spas will provide an unforgettable experience. The Oasis Tulum is located in the heart of the Riviera Maya, 59 miles from Cancun's International Airport, 10 miles from the archeological site of Tulum and 15 miles from Playa del Carmen where you can find shopping centers and restaurants. Close to the theme parks of Xcaret and Xel-Ha and ten minutes away from the charming towns of Akumal & Tulum. An 18 hole Golf Course is located next door. UPSCALE RESORT DESIGNED WITH YOU IN MIND! 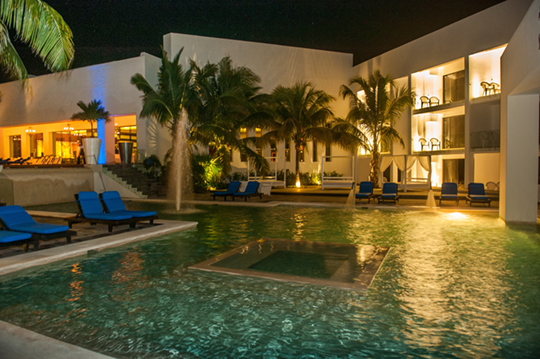 Designed with the highest standards of comfort and luxury, the resort offers 13 Restaurants, 15 Bars, 2 Spas, including a Temazcal (Mayan Sauna), multiple Swimming Pools, an Entertainment Center for shows, a Disco, movies, shops, a Dive Center and two Tennis Courts. The magnificent beach offers powder white sand and access to one of the longest and most beautiful coral reefs in the world for snorkeling and scuba diving. Don`t miss the underwater wonders of this magical location. When you don`t want to hit the beach, the activities program is full of day and nighttime entertainment with an excellent and amiable staff that seeks to provide the best vacation experience available. Images displayed on the DAE website resort profiles are images of the relevant resort but may not be the specific unit available for reservations. <br /><br />Six-thousand-year-old Bushman rock art is just one of the wonders at the unforgettable Kagga Kamma Nature Reserve. Located in the majestic southern Cederberg Mountains amid stunning rock formations and incredible scenery, the resort is unlike anything you'll ever have experienced. At night the sky comes to life with billions of stars, planets and shooting stars. Even the Milky Way is visible to the naked eye, although there is a mini-observatory at the resort, too. <br /><br />It is a place of sublime beauty and deep spirituality, where communing with the spirits of the land seems entirely possible. Once home to the Bushmen, it's your chance to take a deep breath and enjoy the enveloping silence and spectacular starlit skies. Built into the sandstone rock formations, the swimming pool is a stunning place to just relax with a book or enjoy a cold drink. Indulge in a little well-deserved pampering with some hot stone therapy and a soothing facial. Dump your things in the fully-equipped chalet before cooking up a storm in your indoor or outdoor braai area. Or, if the weather permits, head off to the open-air boma (fire pit) and enjoy a superb selection of Cape wines and a sumptuous feast of South African cuisine prepared by the Restaurant. Then sit back and enjoy the night sky. Cross zebra, springbok and eland off your must-see list with an exhilarating guided quad-bike safari through the Cederberg Mountains. It's a must-do. 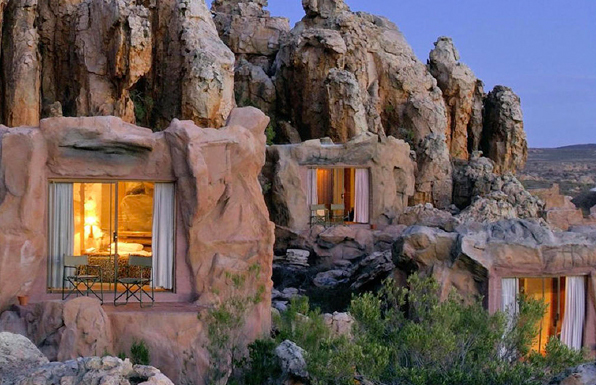 <br /><br />If you're after a totally unique holiday experience, Kagga Kamma is the place to stay. It's, quite simply, breathtaking. The Peninsula All-Suite Hotel is a perennial favourite amongst fun and sun seekers from all over the world. 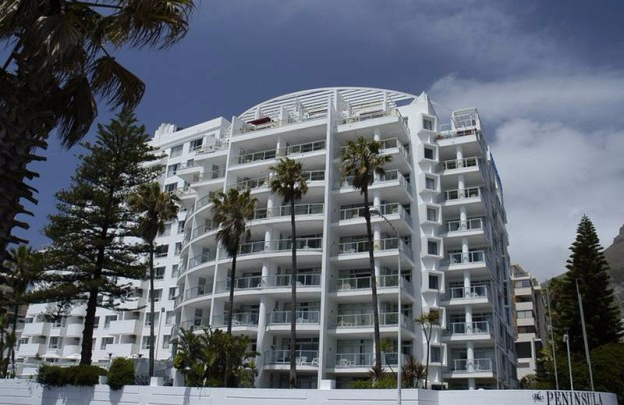 Its location, on what is referred to as Cape Town's Platinum Mile, puts you within easy reach of the very best that this great southern City has to offer. Step into a world of sumptuous style and subtle elegance, enhanced by wonderful understated Cape hospitality. Your unit is replete with everything you'd expect from a premium resort, including heating for when the autumn chill drifts in off the Ocean, air-conditioning to keep you cool on long, sultry summer days. There's a sparkling pool, sauna, fully-equipped gym and even a daily maid service. Breathe in the scent of the ocean and watch the sun go down from the Sunset Deck, as you sink one of our barman's inspired cocktails. The Sunset Restaurant offers culinary temptations that draw a faithful following. The Faces Cocktail Bar is a popular place to unwind after a long day, or to gather before embarking upon an evening adventure. You're on the very threshold of one of the world's most famous scenic wine routes. The palate-pleasing arts of the Cape's vintner's stretches back some 200 years! You're also just a seashell's skip away from beautiful white-sand beaches and mere minutes away from the legendary Kirstenbosch Botanical Gardens. Shuttle buses will whisk you away to the beach many other attractions of the fairest Cape. You won't want to leave The Peninsula. Cape Town is calling and the lovely Peninsula All-Suite Hotel is waiting to welcome you. Surrounded by the distinctive red rock formations of the Arizona mountains and desert, you can perfect your game on the 18-hole golf course at The Ridge on Sedona Golf Resort. Relax in air-conditioned comfort in a studio, one- or two-bedroom accommodation, complete with a well-equipped kitchen, handsome furnishings, and cable/satellite television and a DVD player. Leisure activities abound at this retreat where secluded whirlpool spas are scattered across the hillsides and swimming pools, steam saunas and a fitness center await. Escape to a desert oasis defined by astonishing natural beauty and distinctive red rock formations. Visitors flock to Sedona to discover its peaceful serenity amid graceful beauty and abundant sunshine. Whether longing for a backcountry adventure or a relaxing retreat, the mysterious energy and unparalleled charm of this Southwestern destination offer the ideal escape. Majestically perched against a picturesque desert backdrop, you can enjoy the challenge and convenience of the 18-hole golf course directly adjacent to the resort. Whether you're hiking on foot or exploring the splendor of Oak Creek Canyon and the desert vistas via a Jeep® tour, you'll look forward to returning to the comforts awaiting you at The Ridge on Sedona Golf Resort. 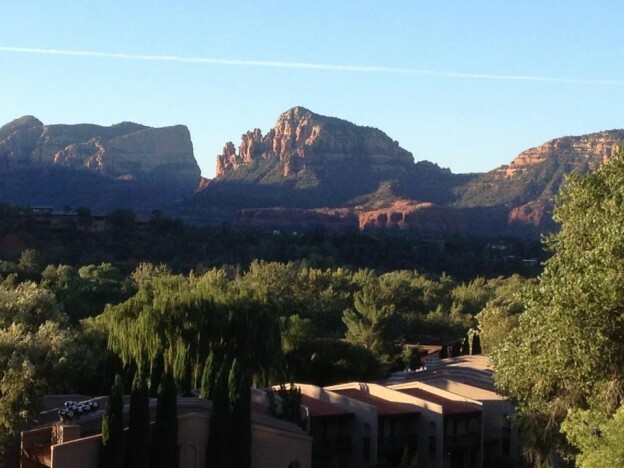 Let mystical Sedona enchant you and call you back again and again while The Ridge on Sedona Golf Resorts provides all you need for the perfect desert vacation.